The intrinsic value of AT&T's proposed $85 billion merger with Time Warner is based primarily on recent growth in mobile video consumption, especially among users under age 35. The two companies envision new ways to get Time Warner's premium content to consumers through a highly distributed AT&T network that has 4,500 data centers nationwide. Putting the content on cache servers in those data centers, where it will be closer to users, and then zipping that content over AT&T's upcoming 5G wireless network will enhance the user experience without threatening net neutrality policies, said Gartner analyst Akshay Sharma. Also, the acquisition will likely allow customized, individualized advertising and pricing plans, and even a la carte pricing for individual TV shows or events like the World Series, he said. Under the AT&T-Times Warner scenario, a Chicago Cubs fan watching the World Series on a smartphone or tablet would be able to capture a video snippet of a big play, like a winning home run, and share it easily and instantly to friends on social media, Sharma said. It would possibly be transmitted as Ultra High HD — or 4K, which is four times the resolution of 1080p — with wireless speeds of 40Mbps. The surge in mobile video content will partly be achieved through 5G wireless, coming possibly as early as 2019 in the U.S. on AT&T and Verizon, and offering speeds of 1Gbps. Already, NTT DoCoMo in Japan has plans to stream the 2020 Olympics in Tokyo over Ultra HD at 8K with 50Mbps streams. Customers will probably decide to opt-in to advertising if they want free Wi-Fi at a concert or stadium event. "You will watch for free or get it with ads at a reduced rate," Sharma said. "There will probably be a baseline subscription price with upselling. If you want to watch a boxing match and see every facial expression with every punch, you will pay for 4K resolution." 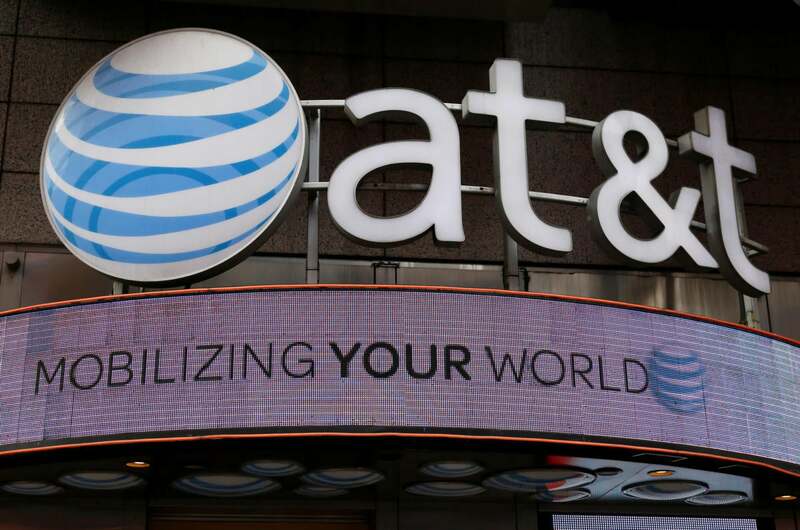 AT&T might even provide consumers a technology called LTE-D for device-to-device over wireless that allows fast transfers of Ultra HD video without the need to connect to a cloud server, which could increase the speed, Sharma said. That approach would fit well into the wide interest by millennials in short videos, sometimes made by third parties or amateurs. An entire market of such videos is evolving that relies on personalities, called "influencers," to offer entertaining or unusual video snippets, often tied to ads from national retailers. AT&T CEO Randall Stephenson said in a call with analysts on Monday that the deal with Time Warner incorporates social networking with sharing of video content, "including by clipping content you watch and sharing via a smartphone." Once AT&T owns the Time Warner content, it will be easier to allow such user sharing. "Trying to develop those abilities with current content providers is difficult … It's really, really hard," Stephenson said. "There's a huge customer base out there we are convinced [doesn't] subscribe to premium content today, but at the right price … they will with compelling content," Stephenson added. "This will be attractive for a large group of customers that are not in the market today." If AT&T is allowed to own Time Warner's content, it will lower its costs to provide that content. "Mobile video is really a big draw to millennial customers," said Steve Vachon, an analyst at Technology Business Research. "TV-everywhere access is almost expected of carriers." Last year, Verizon introduced an ad-supported mobile-only video service called Go90, but it isn't clear how successful that service has been. "Mobile is where we spend our eyeballs and more than 60% of wireless traffic is video," noted Roger Entner, an analyst at Recon Analytics. Entner said Verizon's Go90 offering is "not very appealing because the content is not appealing, and it's extremely hard to find anything you want to watch. ... but they are trying at least." Comparing what AT&T wants to do with Time Warner's content and what Verizon currently offers with Go90, it is clear that "attractive content is what matters," Entner said. That quality content owned by Time Warner and its subsidiaries is what AT&T emphasized in describing the deal. "Premium content always wins," Stephenson said on the Monday call. "It always won in the theater and won in the home and now on the mobile device." The planned merger is a combination of media and communications, Stephenson added. "We want to set the pace for letting this happen." While some groups have argued that AT&T will mine subscriber profiles to support individualized advertising in ways that could threaten privacy, Entner and Sharma said the carrier will be able to keep the personal information anonymous to advertisers. Some customers may want to set their own advertising preferences, as well, instead of letting AT&T create a profile from their user data. An older man might select a preference saying he will watch car ads from Mercedes, while a teenager might select Coke or other soda ads, each receiving different ads while watching the same content on separate devices, Sharma said. "Carriers have treated contextual [personal] information with the utmost security," Sharma said. "It could be good that a carrier owns the personal assets as compared to a search engine or social site that's known to mine the data extensively." Matt Hamblen is a multi-media journalist covering mobile, networking and smart city tech. He previously was a senior editor at Computerworld.